Make bath time fun with this adorable and super comfortable towel. 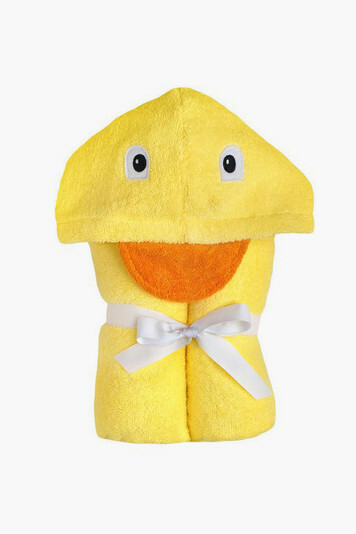 Your little one will love being wrapped up in this delightfully soft duck towel. Watch their imagination run wild as you giggle over how cute they look. A favorite of our founders, these towels are a staple in her chaotic household. They also make a perfect gift! Towel size: 27" x 51"
Hood size: 10" x 8.5"